At Easton Regional Park, Jefferson County, Colorado on April 13, 2019. This South American cormorant is rare in Colorado. 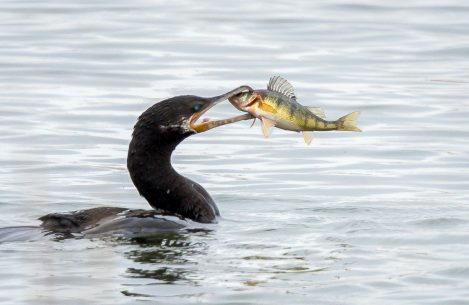 After swallowing the perch, the cormorant continued to dive and hunt for more fish, quite an eating machine. In Peru the Neotropic cormorant is used by the Uru people for fishing.